from fallen limbs and words and memories and wishes. from what was and what will be. a saying goodbye and a saying hello. i dreamed of a hallway, long, with many doorways, the doors removed, propped against the empty walls, painted in the softest of colors, old, faded. the dream faded also, coming back to me later in the day, reminding me of my movement past the open rooms, my glances left and right, leaves blowing past my feet, the wind behind me. before me, a rectangle of daylight. another missing door. 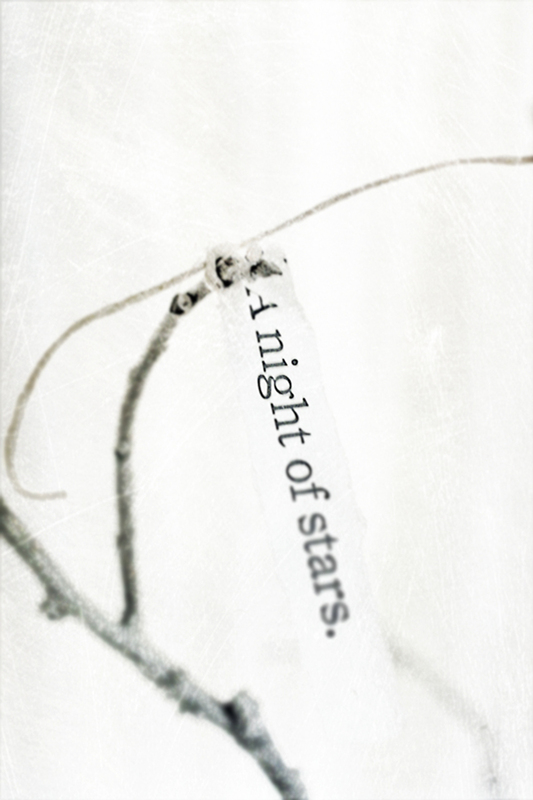 it seemed perfect, and in the way of dreams, the rectangle changed to darkness, moonlight spilling onto the floor. no doubt the almost full moon of two nights ago waking me only slightly, pushing its way into that hallway. what i know is that it will be a painting. what i know is that closing doors accomplishes little. if once i thought otherwise, i have changed my mind. that hallway is my life. i walk past those rooms of yesterday, piled full of memories i pretend i've tossed. i glance into them daily. sometimes i quickly move on, other times i stand at the doorway and smile. sometimes i drop to the floor and cry myself to sleep, one hand over the chipped paint of the doorsill. what i know is that if the doors were still there, if they were closed and locked, i would think through them anyway and the memories would be too big or too small. the hall is longer behind me, from back there where the wind comes from, and the open rooms ahead are still empty, still waiting to be filled. some things will appear on purpose, my own doings, but some things will surprise me, both good and bad. there is so much i can't control, but there are places to store it all. some rooms are small, with windows, and some are too large, bathed in darkness. some rooms, however, are just right. 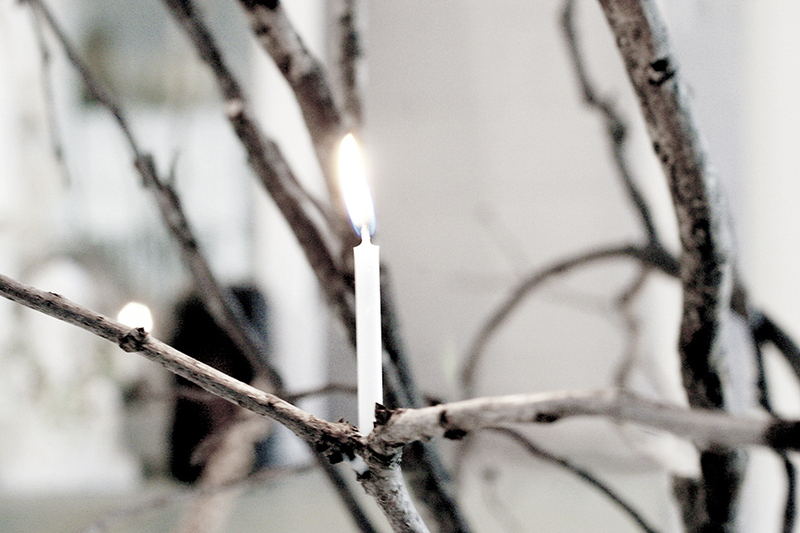 a birthday candle for the christmas tree. a light against the darkness for only a moment before i blew it out and made a wish. I'm so glad I went back to search this out; I've been away, not gone, but away in some doorway, just as you wrote. This puts me right again. Wonderful writing on several layers.